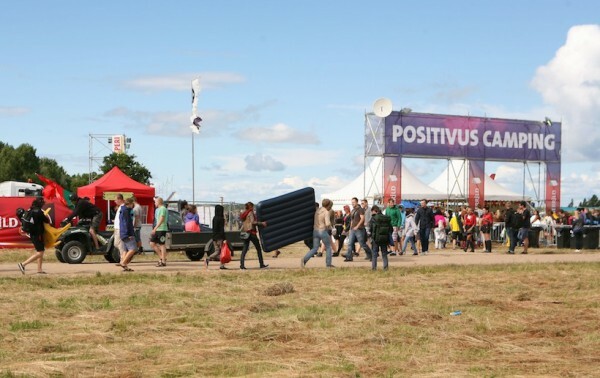 Positivus Festival has started the application submission process for the volunteer position during the festival. Those interested can apply by completing this form. All applicants must be over 18 years old during the festival as well as be resolute to fulfil their assigned duties responsibly. The application submission deadline will be April 25th 2014. The Positivus Festival volunteer position is a great opportunity to gain experience and insight into the organizational processes of the biggest music festival in the Baltic’s, as well as to enjoy the versatile music programme during spare time. After the application evaluation, the most qualified and experienced applicants will be involved in the festival organizational processes both before and during the festival, for example setting up and furnishing the territory, as well as other tasks. The selected applicants will receive a personal invitation to sigh an employment contract and will be required to make a deposit in the amount of EUR 36. After receiving the payment a formal status of Positivus Festival helper will be confirmed and sent further information. Every volunteer will have their own personal task schedule – totalling in 15 working hours for the entire duration of the festival. Every shift will last three hours, with free time to visit the festival and enjoy the music. In case of a successful completion of the assigned tasks, the deposit will be fully returned until July 31st.